Green apples tend to stand out for their bright color and slightly sour taste. 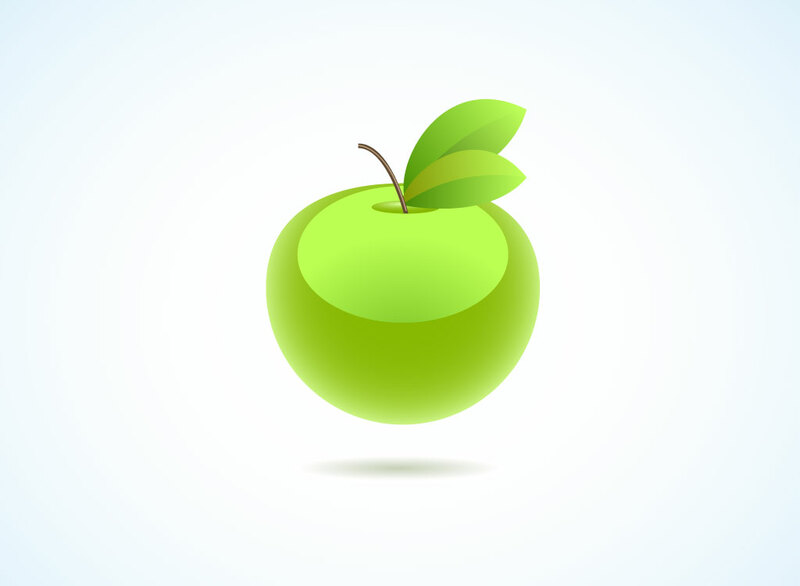 The free vector download comes with a green apple graphic or icon with simple but very effective lighting and a subtle drop shadow. Soft Gaussian blurs take the hard edge off the modern stock clip art. Tags: Crop, Food, Fresh, Granny Smith, Nutrition, Organic, Sweet, Tree, Vitamins.